Over the weekend, I was hanging out with my adorable ten-year-old son, when he asked me if he could invite a few friends over for a grilling party. With great enthusiasm, he said, “It’ll be great. We can grill chicken, shrimp, and corn!” I absolutely love when my kids show an interest in cooking, so I was thrilled. Within a few minutes, I realized that by “grilling party,” he meant I’d be doing all of the grilling, and he and his friends would be doing all of the eating. Regardless of who’s grilling, I loved the idea. Spring has sprung, after all—and summer will be here before we know it. 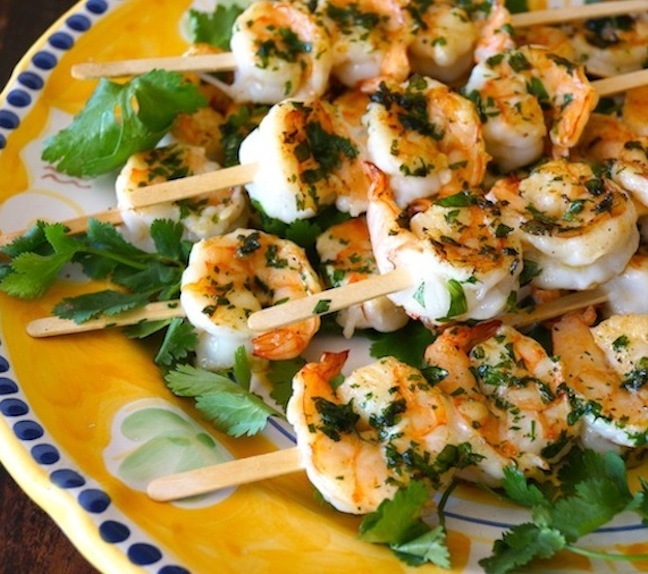 These quick and easy shrimp skewers will be perfect at his grilling shindig. They only have three ingredients, they’re packed with delicious flavor, and they are incredibly kid friendly. 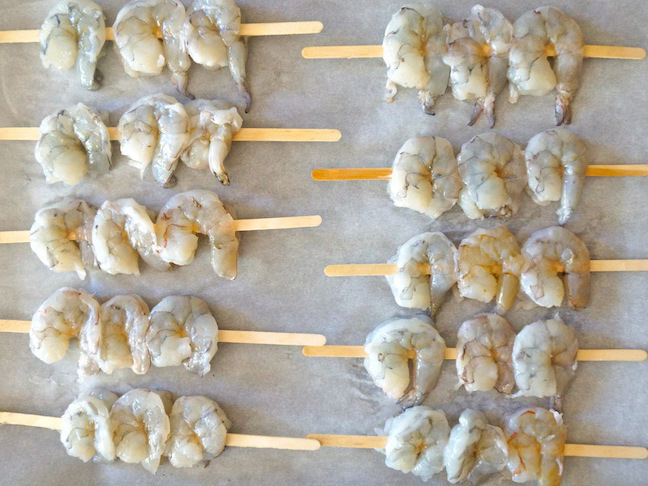 Step 1: Line a baking sheet with parchment paper, and then gently slide three shrimp on each of the ten kid-friendly skewers, placing them on the sheet as you go. 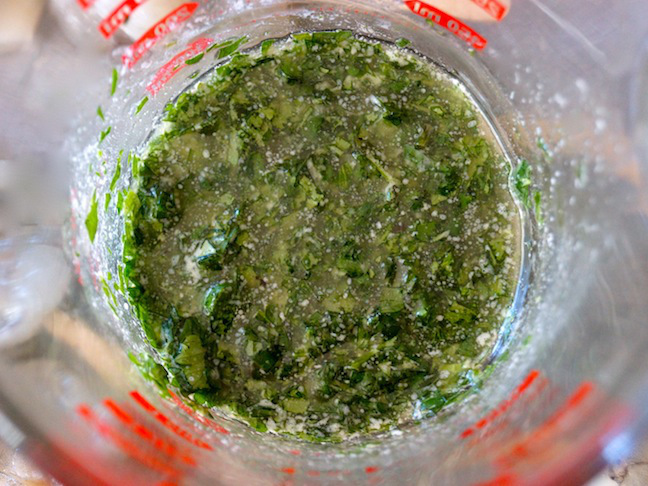 Step 2: Add the chopped cilantro to the melted butter and mix to blend. 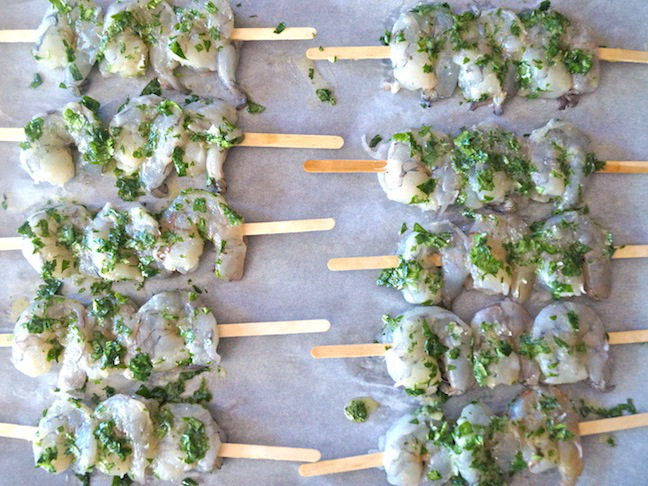 Step 3: Evenly drizzle about half the cilantro-butter mixture over the shrimp. Flip them over, and then drizzle the remainder on the other side. (If they're not well coated, you can use a pastry brush or your hands to evenly distribute the mixture.) Sprinkle both sides of the shrimp generously with salt and pepper. Step 4: Heat a large saute pan or grill over high heat. 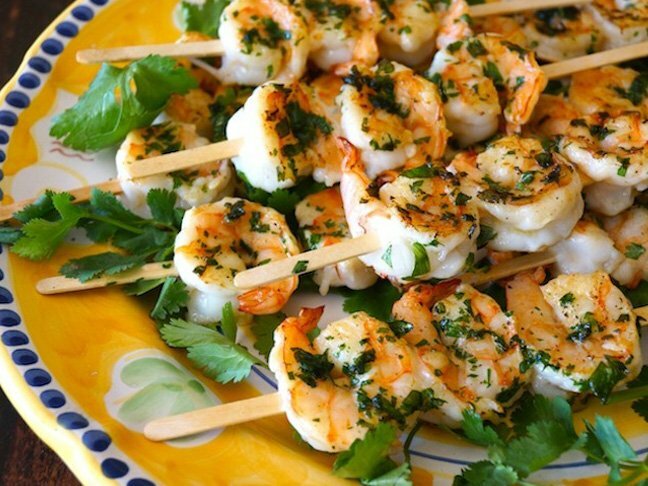 Once it's very hot, add the shrimp skewers, with at least an inch or two between them. 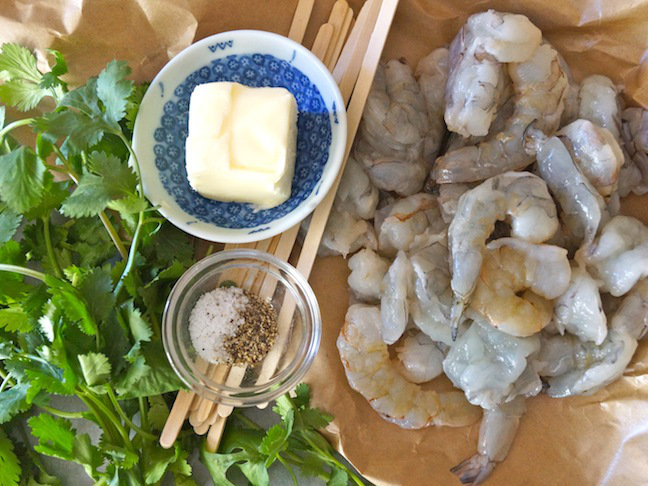 Cook, just until the shrimp is cooked through, two minutes or less per side.